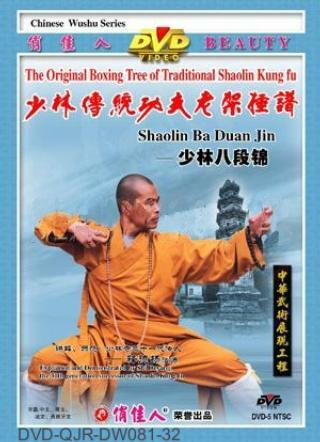 Shaolin Eight Section Brocade (Shaolin Ba Duan Jin) is one of the earliest exercises practised by the Shaolin monks. It was said that early in the Tang Dynasty (618-906 AD), Ba Duan Jin was practised by Lin Qiu-shan, an eminent monk of Shaolin Temple who lived till the age of 109. Ba Duan Jin has the function of unblocking the Jingluo, accelerating the blood circulation, regulating the Qi and blood, and promoting the metabolism of the body. Practise it persistently, it will improve your constitution, enhance your immunity to illnesses, prevent diseases, and prolong your life span.